At the center of Cyrodiil stands the Imperial City. There, the Three Alliances vie with Daedric overlords and each other for control of the White-Gold Tower. The Imperial City is the central city and capital of Cyrodiil and all of Tamriel. The bridges to the city are all blocked with impenetrable force fields, and attempting to swim across will only result in your quick demise due to the infestation of slaughterfish. For those who own the Imperial City DLC or are members of ESO Plus, entry is available through the Imperial Sewers as long as your alliance meets the campaign-specific access requirements. At launch, all alliances across all campaigns had open access to the city; alternative access requirements, in which an Alliance must be in control of a certain number of keeps in order to enter the city, have also been in place in some campaigns. The Imperial City shares its campaign population with the rest of Cyrodiil. The Imperial City is divided between the Imperial Sewers and the six Imperial Districts. Each Alliance has a small base in the sewers which provides quick access to the districts, but getting back to base from the districts requires traversing the sewers. Gameplay within the sewers is similar to a large Public Dungeon with PvP, while the districts function as Quest Hubs and battlegrounds. Tel Var Stones are earned and used within the City, but can be lost by dying. The Imperial City also contains the entrances to two PvE Group Dungeons, although these are separate from the campaign. Abyssal Depths — A section of the Aldmeri Dominion branch of the Imperial Sewers. Alessian Tombs — A section of the Imperial Sewers joining the Ebonheart Pact branch to the central hub. Antediluvian Vaults — A section of the Ebonheart Pact branch of the Imperial Sewers. Lambent Passage — The section of the Imperial Sewers closest to Daggerfall Covenant territory. Vile Drainage — A section of the Daggerfall Covenant branch of the Imperial Sewers. Wavering Veil — A section of the Imperial Sewers joining the Daggerfall Covenant branch to the central hub. Weaver's Nest — A section of the Imperial Sewers joining the Aldmeri Dominion branch to the central hub. Ancient Underground — An ancient temple hidden beneath the Imperial City. Despite being located in the Imperial City, the Arcane University Battleground does not require the Imperial City DLC. It was originally part of the Morrowind Chapter, but was later made available to all players. The Imperial Standard: Defend a garrison from the forces of Molag Bal. The Bleeding Temple: Rescue the priests of the Imperial clergy from the Daedra. Of Brands and Bones: Convince a skeleton to reveal the Worm Cult's excavation plans. The Lock and the Legion: Liaise with an Imperial captain who has infiltrated Legion Zero. Knowledge is Power: Recover an ancient tome from the Daedra and assist in its translation. Scouting the Arboretum: Scout and secure the Arboretum rally point. Scouting the Elven Gardens: Scout and secure the Elven Gardens rally point. Scouting the Memorial District: Scout and secure the Memorial District rally point. Scouting the Nobles District: Scout and secure the Nobles District rally point. Scouting the Temple District: Scout and secure the Temple District rally point. Dousing the Fires of Industry: Halt Legion Zero's production of siege weaponry. Historical Accuracy: Help an archivist preserve Imperial documents. Priceless Treasures: Place a ward on the Temple of the One's treasured artifacts. Speaking For The Dead: Create an undead spy network to keep an eye on the Worm Cultists. Watch Your Step: Set traps for ogrim in the Nobles District. Unlike the rest of Cyrodiil, locations where you have to enter dialogue grant a glowing blue "Sanctuary" active effect. Glowing players from different Alliances can see each other, but can't fight. The six keeps that surround the city must be claimed by a single Alliance in order to crown an Emperor. 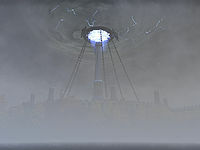 The city as shown in the Cinematic Trailers more closely resembles the city in Oblivion than the city as it appears in ESO, with one main bridge leading out of the western district instead of three bridges unattached to the city, and a northeastern district filled with buildings and without a central garden. The Imperial City also appeared in Arena, Oblivion, and Oblivion Mobile. 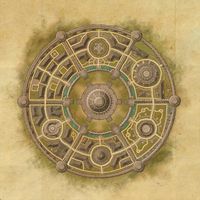 The city as seen in ESO is rotated 30° counter-clockwise from its orientation in Oblivion. This appears to be a mistake, as it means that the entrance to the Imperial City Prison does not line up with the actual location of the prison still visible on the Cyrodiil map. This page was last modified on 11 January 2019, at 13:36.